Who doesn’t love polka dots?! 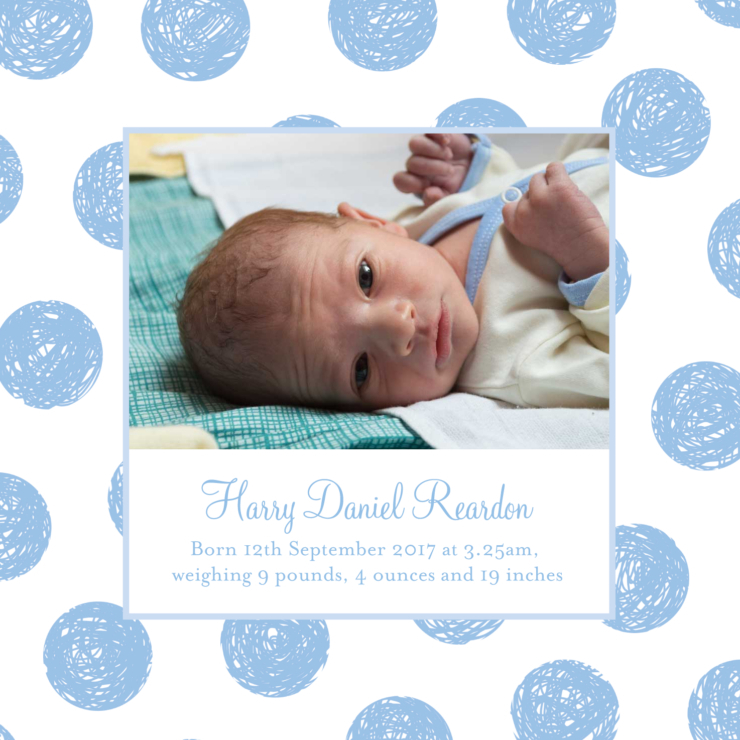 Playful blue crayon polka dots surround a picture of your bundle of joy. Personalise with your baby’s photo and text to make it your own.